Beecham Research backs Digital Catapult ‘Things Connected’ Open IoT Initiative. Beecham Research is the Knowledge Partner for the Digital Catapult Open-LPWAN initiative. 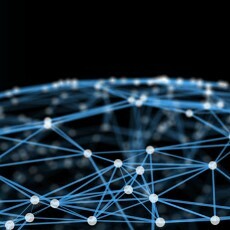 Things Connected, launched today in London, aims to help UK SMEs exploit the innovative features of LPWAN (Low Power Wide Area Network) technologies. The initiative will focus on jump-starting the UK LPWAN ecosystem by lowering barriers for technology access, innovation and application development. “LPWANs offer a new low cost connectivity option to connect a large number of IoT devices over long distances in a power-efficient and cost-effective way, opening up enormous potential for a new wave of IoT applications,” says Saverio Romeo, Principal Analyst at Beecham Research and author of a number of recent reports on LPWANs. Things Connected will initially be focused on supporting London-based organisations and SMEs, with the network utilising 50 IoT gateways to establish a LPWAN covering Zone 1 across the capital. However, the ambition is to create a national innovation support programme around LPWAN test beds in different UK regions and provide UK SMEs, entrepreneurs and communities with the knowledge and skills to harness the technology. It will also bring together demand and supply side stakeholders to accelerate market growth and establish strong links to international LPWAN initiatives. In a recent report, ‘Low Power Wide Area Networks for IoT Applications Market Report and Forecast’, Beecham Research predicted that by 2020 LPWANs will provide 26% of the total IoT connectivity market with 345 million connections. Current applications of LPWANs include smart metering, asset tracking, home alarm systems and lighting management, but there is a wide range of potential applications from noise and air pollution monitoring to remote care services and predictive maintenance for machinery and buildings. “While many IoT applications are well covered by traditional cellular connectivity, WiFi or Bluetooth, the growing opportunity for IoT applications that use very small amounts of data cost-effectively is driving the introduction of LPWAN technologies,” said Robin Duke-Woolley, CEO at Beecham Research. This burgeoning opportunity is reflected in another recent report from Beecham Research, ‘An Introduction to LPWA Public Service Categories: Matching Services to IoT Applications’, that helps enterprise companies to match their IoT applications to the most appropriate public connectivity services. Beecham Research has worked closely with the Digital Catapult to develop the Open-LPWAN Initiative and will be one of a number of other government, industry and academic partners to drive the initiative forward. To deliver Things Connected, Digital Catapult will also be working in collaboration with BT, Future Cities Catapult, Everynet, BRE, AllThingsTalk, Imperial College London, King’s College London, UCL and Queen Mary University of London.